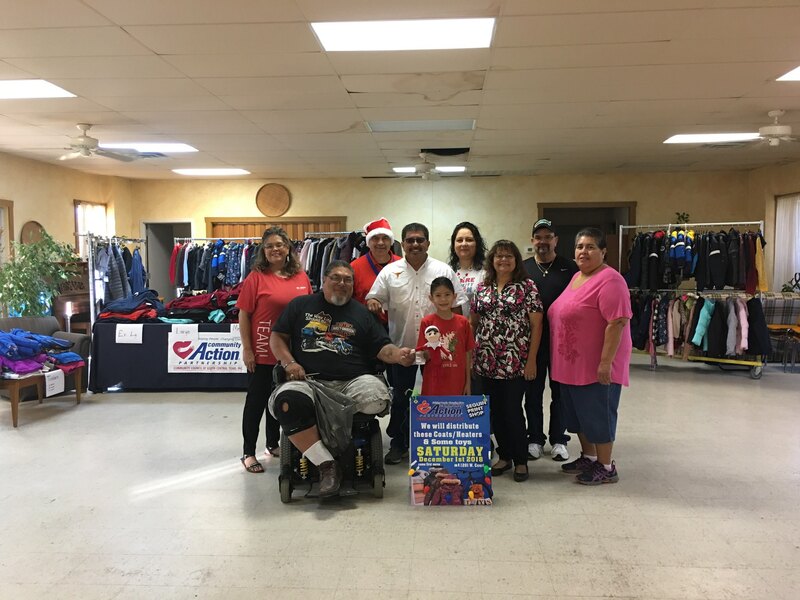 On December 1st, CCSCT, in partnership with Seguin Print Shop, held a coat/heater & toy drive for eligible low-income families in Guadalupe County. Over 225 coats and 110 heaters were distributed to families to help keep them warm this winter. Seguin Print Shop also collected toys to provide to children at the event. 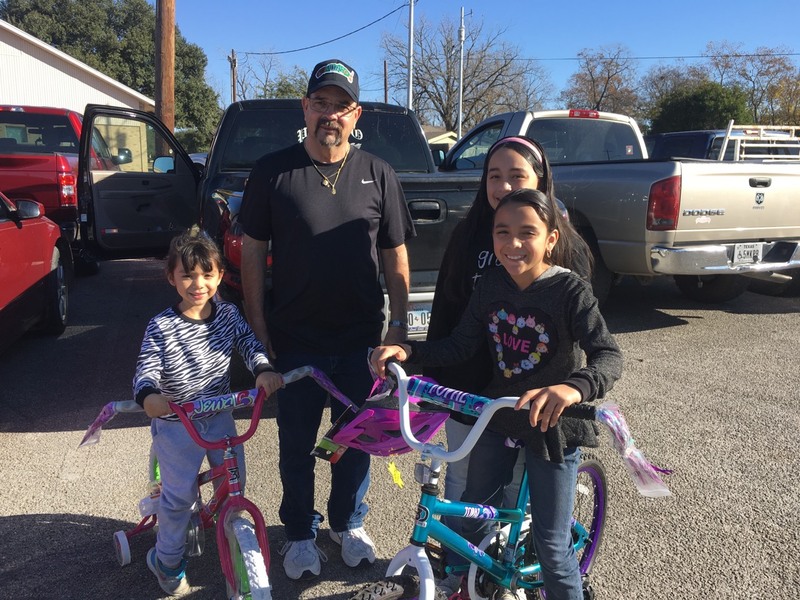 A very gracious donor, Joey Lopez, also donated 50 bikes. 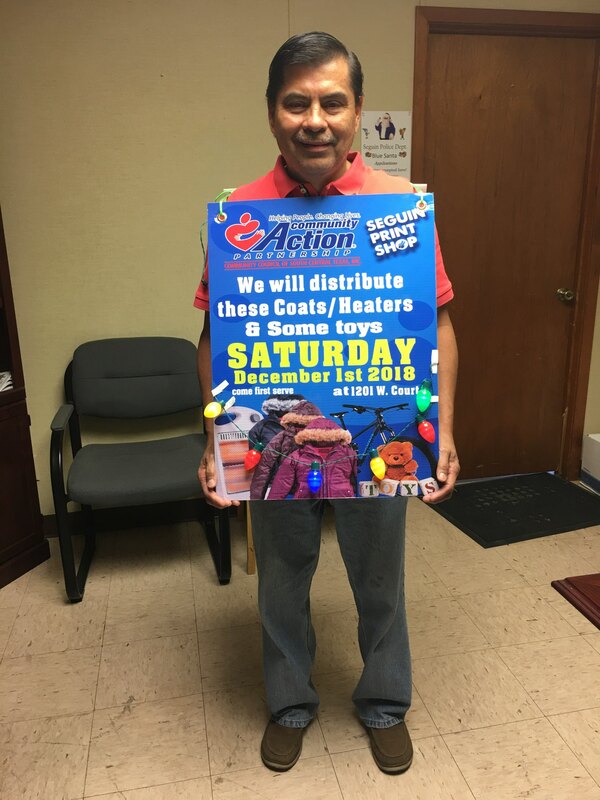 A HUGE thank you to everyone who made this event possible and donated: Su Casa Cafe, Betty Hernandez, Geronimo Lions, Tomas Casteron, The Koehler Company, Donna Dogden, Charles Askey, Acme Bridge Company, Environmental Safety Services, Texas Corrugators. 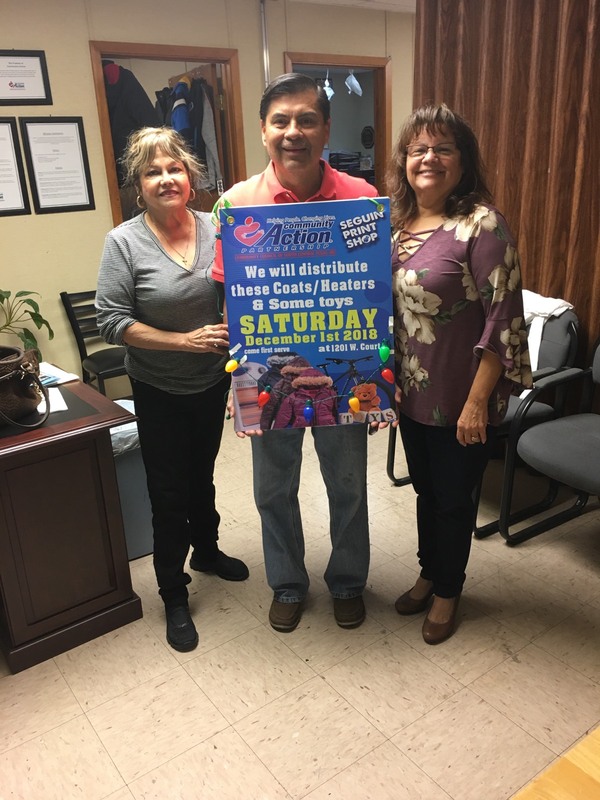 Valdama Cevallos, Shanafelt Auto Company, Mayor Don Keil, Craig Bell, Sheryl Sachtleben, Hector Gonzalez, Dr. Thomas Raetzsch, A-A-A Bail Bonds, Harlow Medical Billing, Seguin Chevrolet, Xerxes, Waste Connections Inc., Andrew Quittner, Davila’s BBQ, Seguin Electric, Jerry Castilleja, Kendy Gravett, Armando Tijerina, Premier Dental Seguin, Guadalupe Regional Medical Center, Ricardo Cortes, Moreno Construction Comany, Tres Hewell Mortuary, Dorothy Whitman, Seguin Radiator, Frost Bank, Steve Koehler, D.G. Faseler, El Ranchito, Mr. G Bail Bonds, and John Kuempel.